Intermountain Health Care – assembled 60 acres for the new McKay Dee Hospital in Ogden. EK Bailey Construction Corp – partnered with EK Bailey and sold over 45,000 square feet of commercial/office space and 36,200 square feet of retail space at Mt. View Landing in Pleasant View. 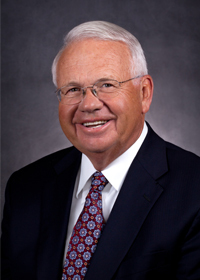 Church of Jesus Christ of Latter-day Saints – designated as their agent to assemble large tracts of ground for church welfare farms in Box Elder and Davis Counties. Washington Terrace City – affected a trade for the site where their new city offices are located. Private parties – represents buyers and sellers in the purchase and sale of numerous residential homes and lots. Private ranch sales – over 100,000 acres in farm and ranch properties. Purchased and developed over 15 subdivisions,with over 500 building lots. John is a devoted husband and father. In his spare time, he loves to fish and explore the great outdoors with family and friends. He enjoys helping others and delights in improving his community.